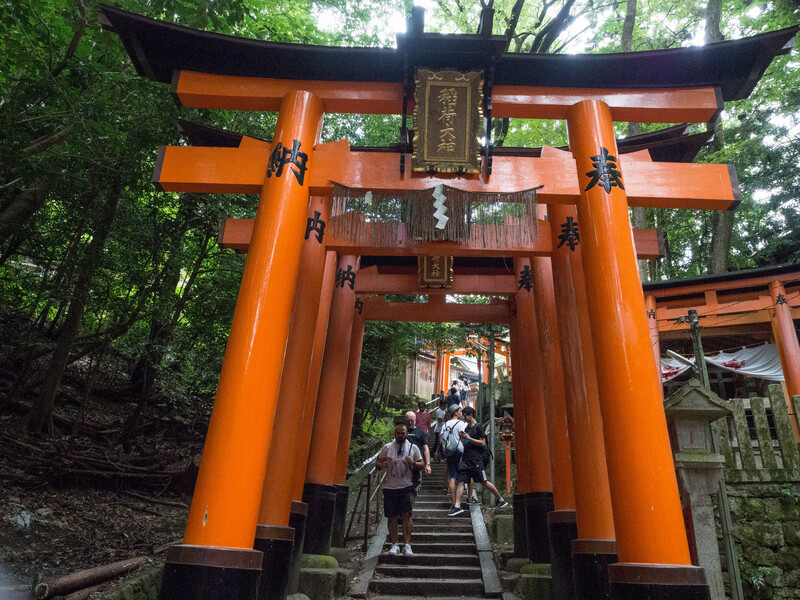 I took a walk through the torii gates leading up to the Fushimi Inari shrine. It was a long walk, on a hot and humid day, with crowds and crowds of people. I did not make it past the profane.